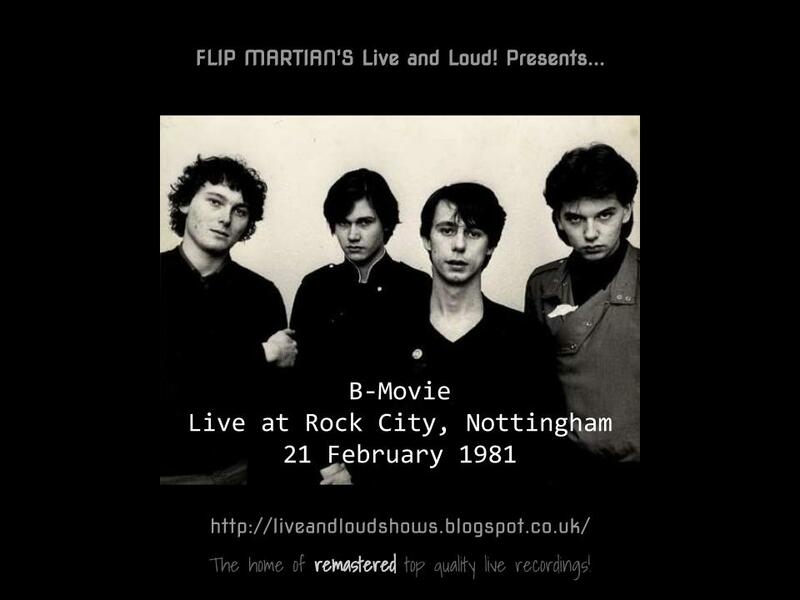 B-Movie formed in 1979, releasing 2 EPs in 1980. They ultimately released a few singles over the years but never an album until 1985 - by which time their time had perhaps been and gone - the lack of success of which contributing to them finally calling it a day, after several lineup changes. This gig came just weeks after they featured on the Some Bizarre album, a compilation album also featuring the then unknown Depeche Mode, Blancmange, Soft Cell and The The, amongst others. The single they're perhaps most known for is Remembrance Day - and that was about to be released shortly after this gig. The B-Movie story didn’t end in 1985 of course - since then they’ve got back together with the original lineup a few times and in March 2016 released a brand new album called Climate of Fear on download, CD and vinyl! Well worth checking out (I bought the CD). But back to 1981... The recording of this gig I got was so noisy, it sounded like they performed in a wind tunnel! However, some careful noise reduction, speed correction and judicious use of EQ has really helped rescue this one - it sounds really very good now. I hope you enjoy this rare gig from a band that is often overlooked when people talk about "the 80s".